‹ PreviousWhich Medicine Would You Prefer? I’ll hold you and keep you and tell you I love you each day. Here’s another by Christina Rossetti based on Romans, chapter 7 entitled: “Who Shall Deliver Me? We all loathe ourselves for our own sins, but the blood of Jesus can free us of our burden. I hope you don’t mind if I post another poem in reply. It is called “A Better Resurrection” by Christina Rossetti. A royal cup for Him, my King. 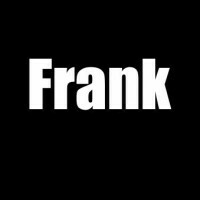 You are who you continuously choose to be, Frank. You aren’t merely your past. You are your entire being. All of your moments simultaneously, knowingly and unknowingly. You are the summation of all of your experiences, and you are the conscious decisions you make based on those experiences. You are able to write such beautiful, moving poetry because of the depth of the emotions you have felt. My own “suffering” seems entirely justified in comparison to the joy I feel in the contentment I now have with my life. My prayer for you, friend, is that you would open yourself up to the possibility that your pain has been your blessing all along. Thanks for that. You don’t know how much I appreciate these words of yours. Cheers. I’m here to help, Frank. I’m trying to help as many people as possible with my words. It’s all can offer over the internet after all. Crazy idea but if you really wanted the pain and torment to stop then maybe you should stop lying. If you want to be a hero, you need to deal with lies. Lies feed on darkness and starve in the light. The problem is, Ha-ha, I deal too often in lies. Another master piece for you, Frank. You have definitely rekindled my interest in poetry. Thanks for that. You are most welcome, Tim. Nice one.dead man has also no emotions that what makes a dead body silenced and peaceful.thanks for sharing this poem and have a great day. A dreadful fate, Frank! Surely, you must find yourself grabbing at those lies, pulling them out and casting them afar. Let it be not akin to shoveling sand from the sea.